We work hard to place control over technology into peoples’ hands. Our mantra is simplicity. Reduce to what is essential. Intuitive user interfaces enable comprehension, which facilitates control over processes in the first place. When it comes to interface design, form is function. Apps and web apps. Mobile and desktop. Software and hardware. Quality design means finding the right answer to user requirements. On a daily basis, our UX, UI and visual designers take on the challenge of generating coherent solutions for your product. To that end, we stand by your side throughout the complete product cycle. From concept elaboration and production, all the way to the app store. And beyond. The Art of Musketeering is Red Bull’s internal training programme for sales representatives. Mondon Design supplied the mobile apps for benchmarking, as well as the tools for planning training rollouts. The web apps are used all over the world on a daily basis. Winning results come from well-structured development. Together we define the steps for turning your vision into reality. Take the first prototype home with you on a testing device. Let our solutions surprise you. Free up your developers for other objectives with our custom production for all the graphics needed. Getting to the heart of good ideas. We develop your vision into a coherent concept. From the first wireframe to the interactive prototype. We handle precision tuning of the user experience. Our GUI designers maximise the potential of every last pixel. We love precision. Your product will be given the debut it deserves. We’ll guide you through the review process all the way to the app store. Be it a silent launch or fireworks, the popcorn is on us. I am happy to be working with Mondon Design, great team, great creative and design approach, perfect work-ethics and responsibility, couldn’t be better. Would you like UX with that? The design standards we apply for webapps and websites are just as high as those for our mobile applications. The objective is immediacy in the interaction between humans and software. Our user experience designers will find the right interaction patterns for your application. No guessing, no tricks, no esoterics. For what is easy to understand, is also pleasant to use. Life is already complicated enough. Agilo for Scrum is a tool for teams, large and small, who want to map and organise Agile development. The Scrumboard is the heart of the web app and brings together all important information streams. Working with Mondon Design was absolutely crucial for the successful launch of Skoove with very competent and professional consulting and work for CD, UX and UI – our customers love it! Creativity requires free thinking. Good music is the art of creating a perfect moment. There is no time for confusing design or cumbersome interfaces. We make sure the musician is comfortable at the controls. 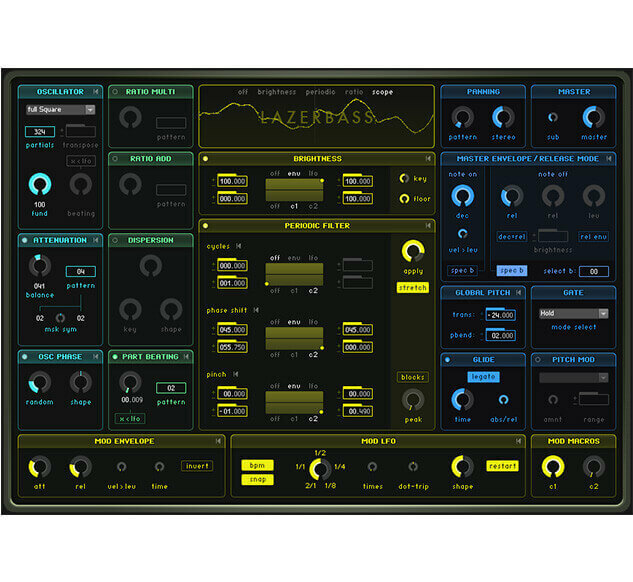 Throughout our many years of collaboration with market leader Native Instruments, we have found methods for bringing control to the world’s best algorithms. 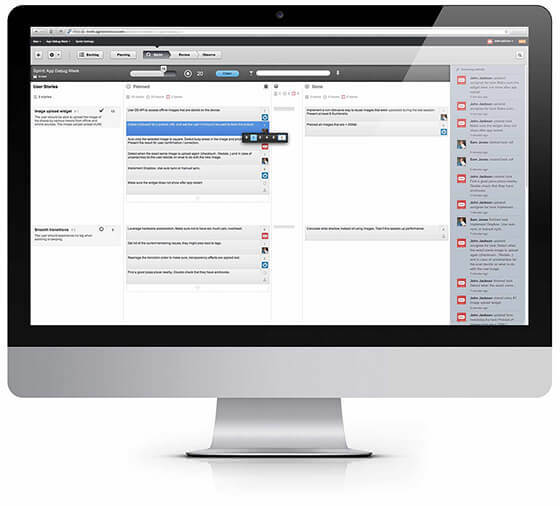 With intuitive, high quality user interfaces. Software is more than just a tool. It becomes an instrument. 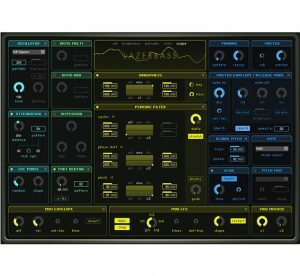 Lazerbass moves Native Instruments’ new Additive Synthesis Technology forward, making this powerful synthesizer the showpiece for the new Reaktor 5.5 Suite. The high level of contrast in the design and clear layout of the module groups make control precise and fast. 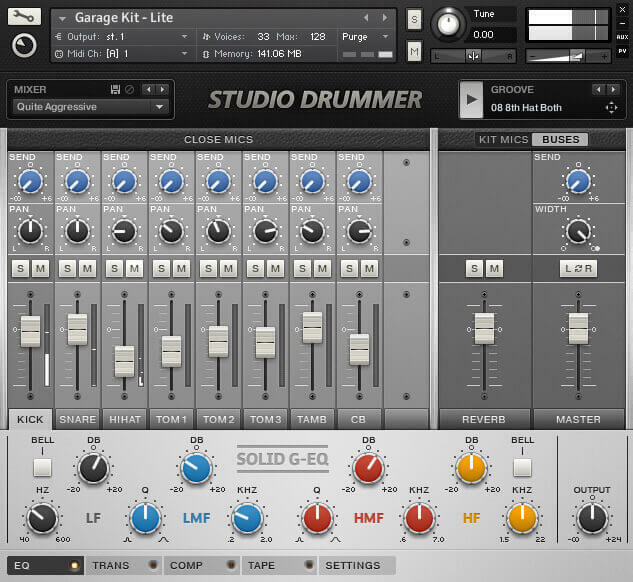 Studio Drummer is a comprehensive virtual drum set for Native Instruments Kontakt. 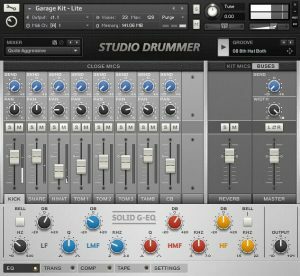 With three different drumsets, up to six different samples per hit and its open, easy to use interface, this product is designed for professionals and beginners alike. Session Horns is a versatile horn section for Native Instruments Kontakt that can be played right from the start. 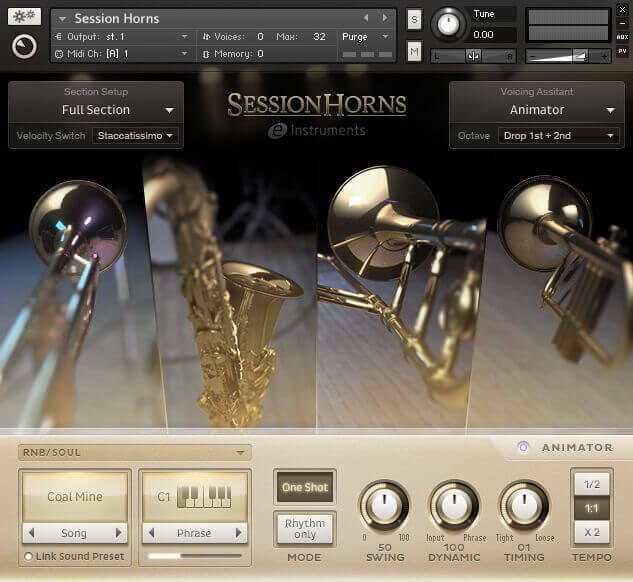 The instruments have been sampled perfectly in a laborious process, delivering a highly authentic multi-faceted sound that is surprisingly easy to control. It is inspiring to work with people who not only understand our product philosophy in detail, but also find a creative design language that gives us new ideas. We are proud of our own software titles. With Link Viewer we place a tool into the hands of GUI and UX designers for familiarising their own clients and testers with the look and feel of an app in development. Right from an early stage, without a single line of code. Today, presenting a meaningful mockup is more than an obligation: it’s a business card. An interactive prototype not only makes the product visible, but comprehensible as well. Link Viewer is used by agencies and schools worldwide. And, of course, by us. The cooperation was very uncomplicated and goal-oriented. Thanks to the high competence of Mondon Design, sustainable solutions were found quickly. The market for mobile devices is highly fragmented. Hardly any two displays have the same dimensions, hardly any two operating systems have the same version number. While diversity is good, it also makes it necessary to have experience and an understanding of what’s out there. We squeeze the best out of this diversity: User interfaces that find the right balance for every platform, while also accounting for their strengths and conventions. The cornerstone for successful cross-platform release – responsiveness and efficiency – is laid right in the conceptualisation phase. This avoids everything ending in chaos. Mondon Design was able to comprehend our needs extremely well and delivered very professional results. Every surface is an interface. That is why our user experience designers are also active in product design. All tactile interfaces require a logical user interface concept. 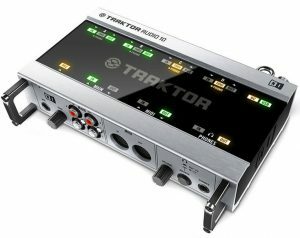 Be it external soundcards or control devices for Smart Home systems – abstract processes that are frequently invisible are turned into usable features. Maximum control is also decisive for hardware components. They turn into valuable partners when they adjust to the user, not the other way around. Traktor Audio 10 is the flagship for Native Instruments’ external soundcards. Mondon Design was contracted to restructure the view panel as well as redesigning the silkscreen layout. Renders © Native Instruments. Traktor Audio 6 is the little brother of Native Instruments’ Traktor Audio 10. The sources connected are easy to recognise, even when in dark DJ booths. Renders © Native Instruments. 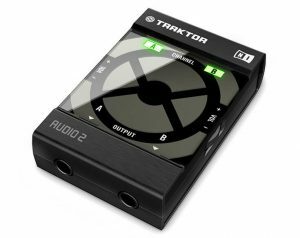 Traktor Audio 2 is the smallest DJ USB audio interface on the market. 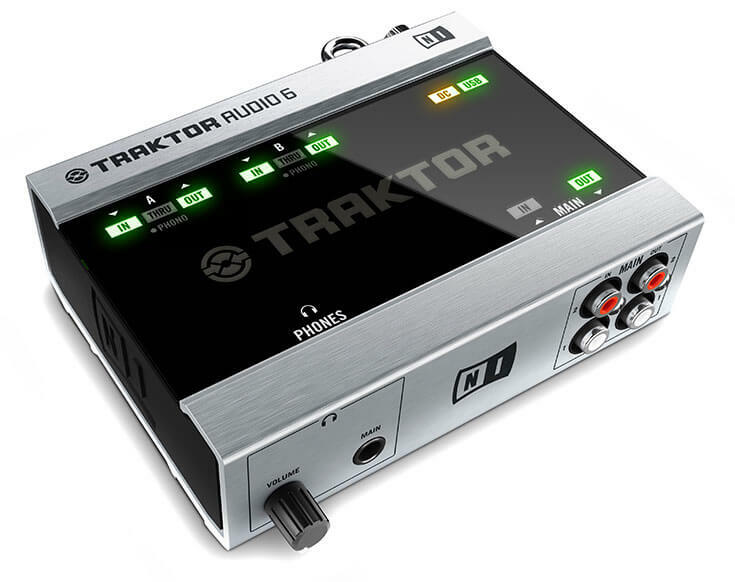 Within the scope of a complete sound card redesign, Mondon Design was contracted with redesigning the front panel. Renders © Native Instruments. …simply productive and creative. We got exactly what we wanted, fast. We know interfaces. Not only the dialogue between humans and technology, but also dialogue between humans. That is why we still value personal communication with our customers today. At Mondon Design we have no account managers standing between you and us, nor constantly changing service representatives. You’ll always be talking with the people working directly on your project: designers. Custom work requires 1:1 communication. That is why we like to use workshops to get collaboration with our clients rolling. This is where you’ll spark our fascination for your idea, and we’ll show you its potential and perspectives. We value having a solid foundation. For long-term client relationships constitute the basis of our work.